If you look out from the pier at Worthing, or from the shore at Littlehampton, you may have what feels like a very ordinary sea view. But a wealth of wildlife lies below the sea’s surface here, an area so special it has been named Kingmere ‘Marine Conservation Zone’ (or MCZ). Life positively thrives here, above a seabed reef of chalk and rock lies sand and gravel used by a nest-building fish called the black bream, for which the area is rightly famous. Starfish, anemones, corals, crabs and lobsters are just some of the lush assortment of other creatures that dwell here. Because of its rich marine life, the Kingmere MCZ is popular with local fishers, anglers, divers and marine biologists, who work together with the Sussex Inshore Fisheries and Conservation Authority (IFCA) to make sure this unique site will be protected for ever. A Marine Conservation Zone is an area where local and national authorities are tasked with taking better care of the protected animals and seabed habitats within. 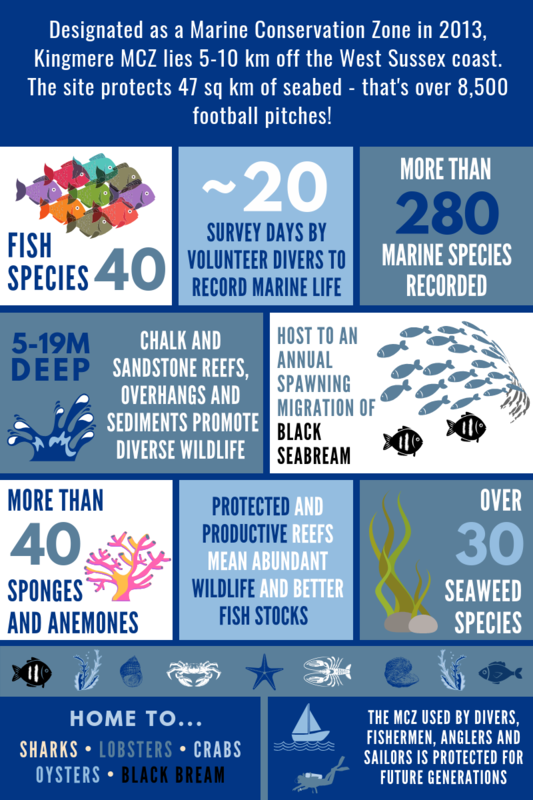 Marine Conservation Zones are special as their locations were selected by fishers, conservationists and government for their important features. We need Marine Conservation Zones to protect our vulnerable, rare and fragile marine wildlife and habitats. 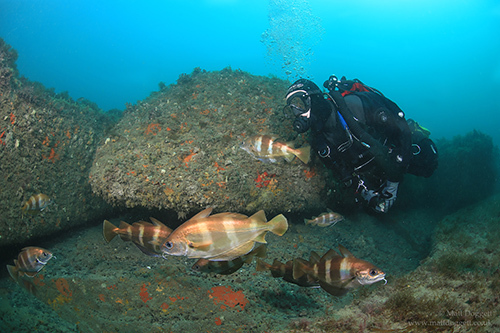 This webpage provides a window to the seldom-seen underwater realm of Kingmere MCZ. 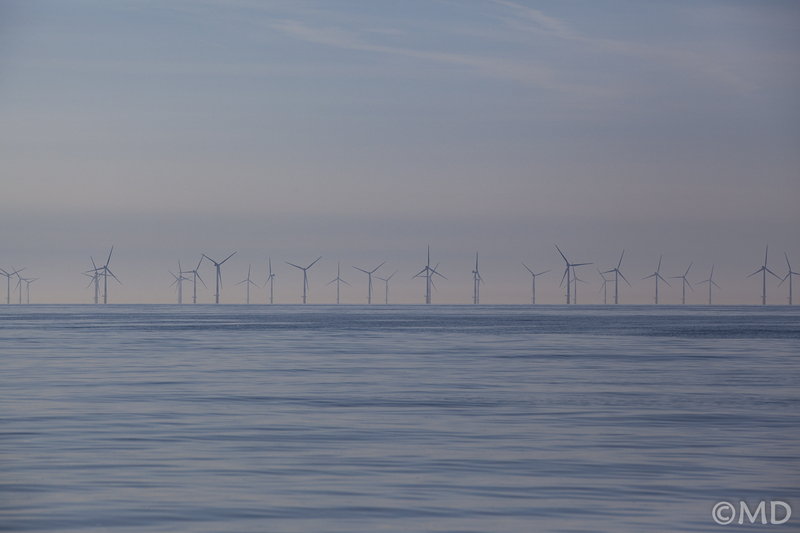 It is ordered to show the various ways that Kingmere MCZ is a special place, from the ground, up. Take a tour to meet the inhabitants of the MCZ and the people to whom it means so much. Use the menu icon to navigate quickly to different sections of the page. Kingmere MCZ is a great place to introduce divers to the varied and colourful marine life off the West Sussex coast. I have been fishing for black bream in and around Kingmere MCZ all my life. Protecting the area will bring benefits for future generations and help ensure the species’ success. I have visited this site on many occasions. It is one of the best examples of rocky out-crops, including chalk, found along the South of England, with diverse marine life as rich and colourful as any tropical reef. 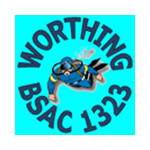 Worthing BSAC welcomes the benefits the MCZ brings to the underwater flora and fauna. The site provides a great training ground to introduce new divers to the diverse marine life, and a chance for all divers to observe and photograph this special environment. Kingmere is a special site for me. I have dived to see the bream nests, and enjoyed a varied and diverse site with all types of marine life. A marine and geology lesson in one! 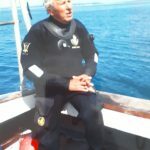 I have dived on Kingmere MCZ over the last few summers. One was a fast drift dive carrying us past sandstone boulders – some the size of a small car and festooned with colourful life. The black bream had made their nests on bedrock, each area cleared of all debris by these amazing fish. The MCZ was established to protect certain species and habitats, known as ‘designated features’. At Kingmere these features are the fragile chalk reefs, the rock, mud, sands and gravels (also known as ‘sediments’) that surround them, and the black bream which breed on the site each spring. These species and habitats are protected by new local bylaws. Management of damaging or potentially damaging activities within the MCZ is designed to allow these features to recover to their full potential, to what is known as a 'favourable condition'. 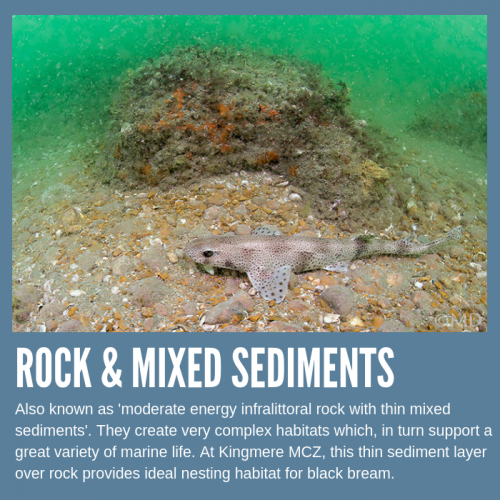 Kingmere MCZ contains many different habitats including excellent examples of rocky reef with underwater chalk cliffs. Areas between the reefs are covered with a thin layer of sands, gravels and shell fragments and include an ancient 'paleochannel', a now-submerged riverbed full of pebbles and gravel. Kingmere MCZ, some 4 miles south of Littlehampton and Worthing contains two marine Sites of Nature Conservation Interest (mSNCI): Kingmere Rocks and Worthing Lumps. 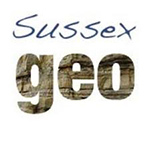 These sites have been identified by the local authorities and Sussex Seasearch for their local conservation and geological value. Kingmere Rocks comprises a large area of sandstone and mudstone boulders, about 500 m wide and 6 km long - this is the main reef in the MCZ. Sandstone is formed by the cementing together of grains of sand. Mudstone is formed when very fine-grained clay particles settle at the bottom of the sea; as the mud is buried by other sediments, it is compacted and water is squeezed out. Cracks and overhangs in these rocks provide shelter for lots of animals including fan worms and edible crabs. Worthing Lumps is a chalk outcrop within Kingmere MCZ, south-west of Worthing sea front. The Cretaceous chalk here is 78 to 92 million years old. The chalk was formed by the compression of untold numbers of microscopic algae that fell to the seafloor during the time when dinosaurs walked the earth. The Worthing Lumps represent the best examples of underwater chalk cliffs in Sussex. Red seaweeds grow on the cliffs' upper surfaces whilst colonial animals, tube worms, anemones and sponges live on the cliff walls. Between the rocky outcrops the seafloor is bedrock covered in a thin layer of pebbles, gravel and sand, typically about 0.5 m thick. The types of bedrock have yet to be confirmed but it is believed to be lignite in some places. Lignite is a deep brown-black colour and sits somewhere between peat and coal. It is made of fossilised wood and plants and samples can contain rare examples of seeds, fruits, ferns and palm trees that grew during the Paleocene, some 55 million years ago. The mixed sediments on top of the bedrock in Kingmere MCZ provide variation in the habitats available and increase the number of creatures the MCZ can support. Finally, running through the MCZ is the submerged floodplain of the ancestral River Arun. This was formed less than 2 million years ago in the Ice Age, when sea levels were lower and Britain was joined to mainland Europe. This ancient river valley is about 4 km wide, 15 m deep and is now filled in with a mixture of sand, gravel and mud. ROLL over each image to find out more. CLICK on each image to see a larger version. ESC to return to the main screen. TAP each image ONCE to find out more, TWICE to see a larger version. Tap off the image to return to the main screen. Kingmere MCZ is home to a dazzling array of marine animals and plants. There are simply too many to list them all here but the sections below provide an introduction to some of the local, underwater inhabitants. 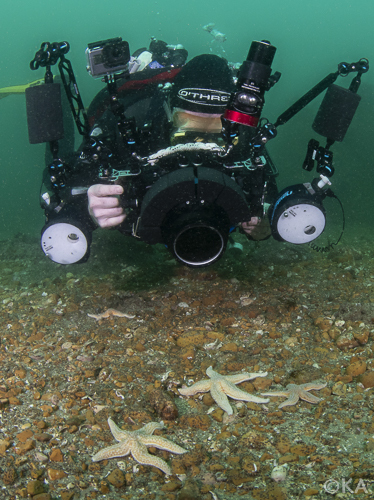 To showcase the marine wildlife that lives in Kingmere MCZ, a team of volunteer photographers went out to explore the rocky reefs and gravelly seabed during spring and autumn 2018. One of the main aims was to try to record the breeding behaviour of the shy black bream, an event which occurs around the spring plankton bloom. The team was unable to capture footage of the adult bream, but the divers did find many black bream nests and a wealth of other marine life. There was so much wildlife that this section has been split into parts to illustrate the vibrant rocky reefs, ross corals, colourful critters and fantastic fish. Black bream are so important that they have their own section. The rocky reefs throughout Kingmere MCZ provide food and shelter for many animals. 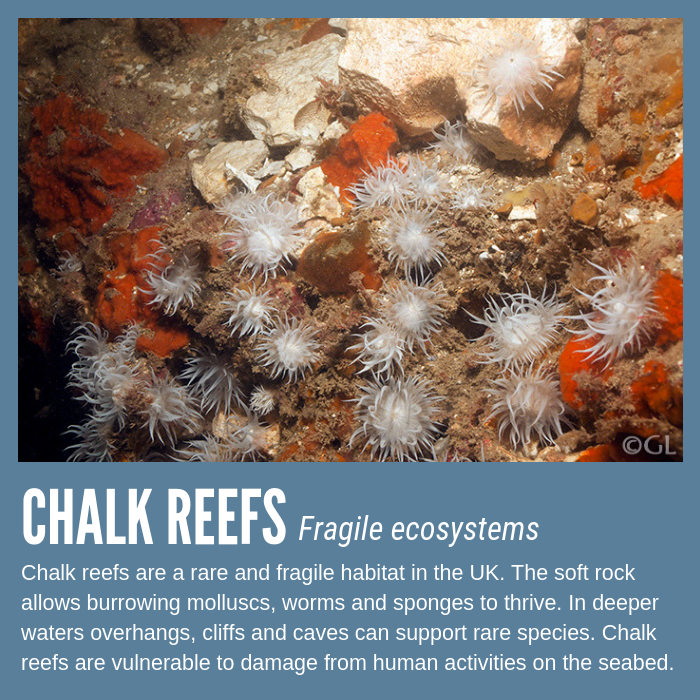 But the reefs themselves are much more than just rock. The reefs are drenched in colourful life from sponges, corals and seaweeds through to delicate hydroids and bryozoans. Hydroids look like plants but are actually animals, related to jellyfish. Bryozoans are small animals that live together and form colonies. Together these are described as 'turf' species, providing a living layer across the rock surface which other animals rely on for their survival. Here are some images of the reefs and the creatures that give them colour and life. Like giant, orange-red roses, Ross corals stand proud of the reef surface. These brightly-coloured and intricate structures are not actually corals at all but are made of a colonial animal called a bryozoan. Their other name is the 'potato crisp bryozoan' and this describes their texture and fragility perfectly. They grow at only around 2 cm each year, live for around 10 years and can grow to 40 cm across. The presence of many large specimens, such as at Kingmere, indicates a relatively undisturbed seabed from damaging activities. In Kingmere MCZ all the types of plants and animals are valuable in their own way. Each one plays an important role in the marine environment, helping to sustain clean, healthy and productive seas. There are lots of other types of invertebrate too. With no backbone or internal skeleton, each one has a way of protecting itself from predators. Having a tough outer shell called an 'exoskeleton' works well for crabs and lobsters as it offers them protection from predators and gives them armoured limbs with powerful claws for cutting and crushing their food. Sea urchins have an outer shell and sharp spines to keep away anything that tries to eat them. Snails have simpler but hard shells giving them a safe place to retreat from danger. When the snail dies, the shells make fine homes for hermit crabs and eventually break down into fine grains of sand. Softer-bodied worms gain protection by building tubes around themselves whilst squidgy anemones and jellyfish protect themselves with stings. All these colourful creatures live alongside each other amongst the animal and algal turf throughout Kingmere MCZ. Kingmere MCZ is home to fish of all different shapes, sizes and colours. Ranging from the tiniest gobies to larger sharks and rays, each has its own place in the foodweb whether predator, prey, or both. Being so mobile, fish can be harder to seek out and photograph successfully compared with other species, so the selection below is just a small proportion of those known to exist within the MCZ. Other species not shown here but known to be inside the MCZ include dragonets, scorpion fish, plaice, Dover sole, pollack, gurnards, pipefish, bass and triggerfish, to name a few. Black bream are a protected feature of the Kingmere MCZ, home to the largest known spawning aggregation in the UK. 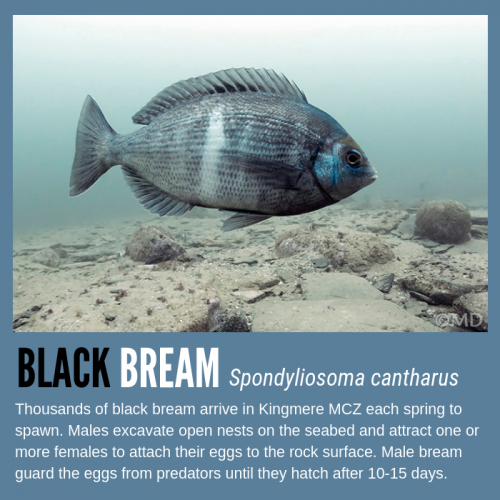 Each spring many thousands of black bream arrive off West Sussex in and around the MCZ, where the male fish build large nests. Each male bream builds a nest which forms a crater in the gravelly seabed. The nests can be up to two metres across and can occur in such high densities that the craters make the seabed look like a moonscape. The nest structures can be detected using sonar equipment which helps to monitor the areas the bream use to nest. 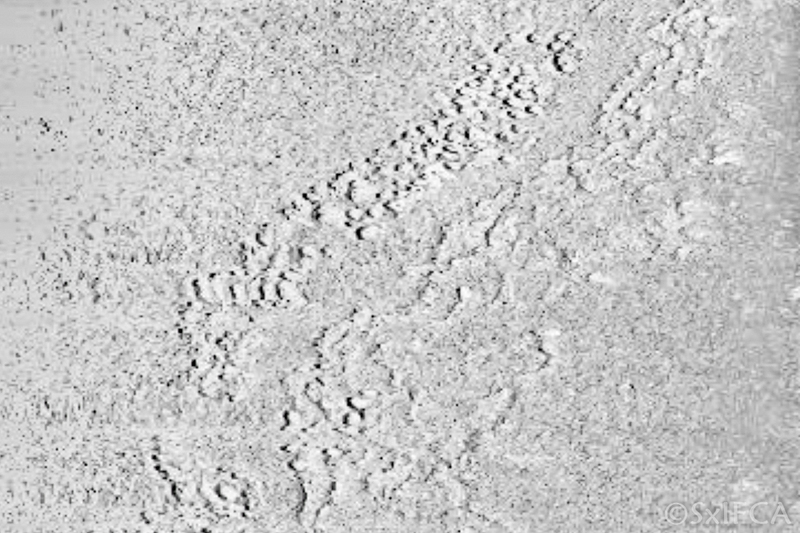 This black and white seabed image below shows a diagonal band of dense nests (dark patches) next to a rocky reef area (lighter band) inside Kingmere MCZ. Black bream are notoriously shy fish. They are very difficult to photograph and often disappear when divers are nearby. The images below tell the story of black bream breeding in Kingmere MCZ and using additional images from other nesting sites in Dorset where necessary. Filming black bream can be very difficult as they are such shy fish. In 2018 we were unable to capture footage of male bream on their nests in Kingmere MCZ but this video shows the typical behaviour of males guarding their nests in Dorset. The first clip shows male bream tending their eggs. One fish removes something from its nest and in doing so upsets his neighbour. The second clip shows a male busily tending his eggs and keeping other bream away. Eventually the camera proves too much. A male black bream will stay on the nest until all the eggs have hatched, keeping them safe from predators and making sure as many as possible will survive. 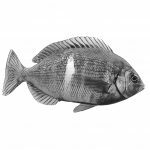 To find out more about the story of breeding black bream see The Black Bream Project. These images are of male black bream over their nests in 2006 by Seasearch diver Alex Holmes. Alex was fortunate to have a rare in-water encounter with the fish as they guarded their nests and eggs. 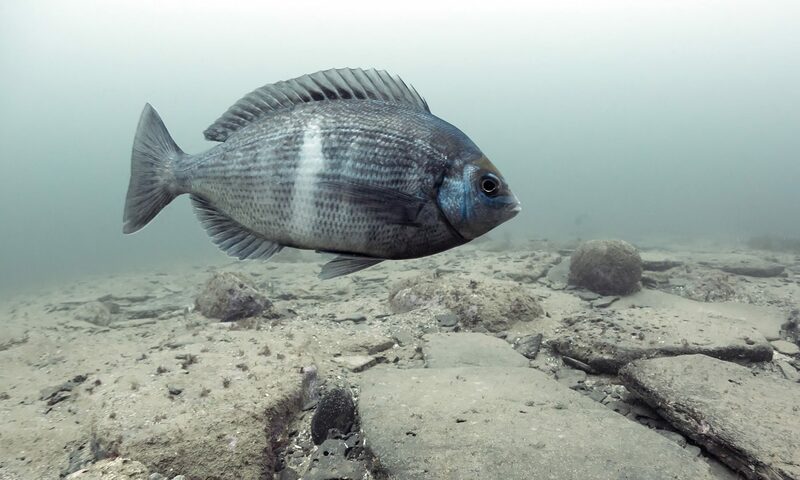 The seabed provides nesting grounds for amazing black bream that are a delight to watch during their breeding season. I have fished for black bream on Kingmere and value it as a recreational fishing spot. I think it certainly deserves MCZ status and management should reflect its value to all sea users. It’s the best bream fishing in the country, with the best-sized fish. Kingmere and the surrounding area is important for many people, including fishermen, anglers, divers, sailors and various marine industries. This section provides an introduction to the past, present and future for Kingmere MCZ. The local area has supported fishers for hundreds of years. 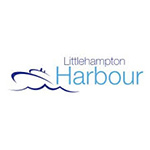 For example, Littlehampton, then known as ‘Hantone’ was recorded as a small fishing community in AD1100 (Littlehampton Museum). The local sea area has supported hundreds of fishers, their families and local businesses for generations. This angling video shows some of the techniques anglers used to catch black bream during the 1980s. 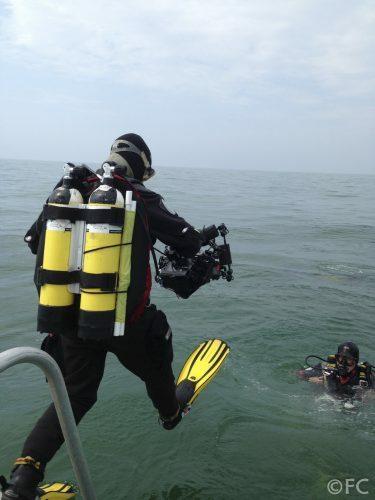 Kingmere has long been used by divers also for both recreational and commercial purposes. 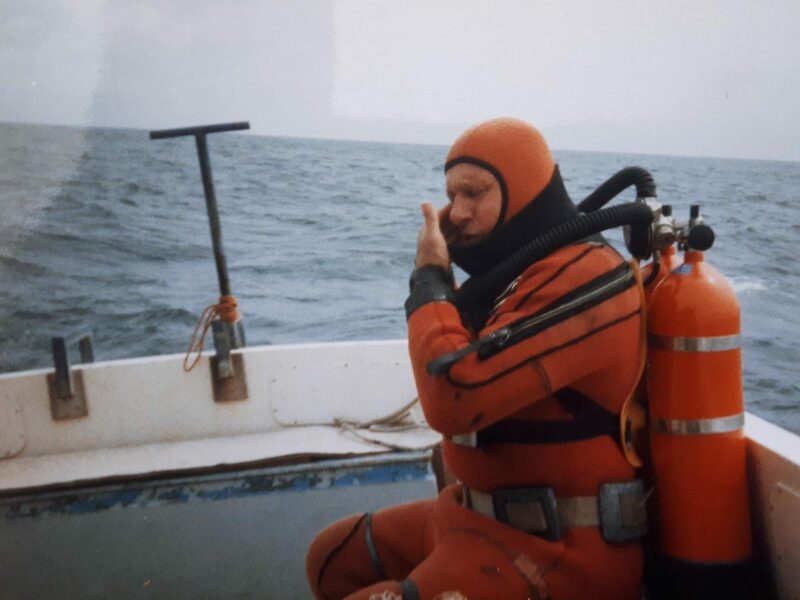 The images show some divers from circa the 1970s and 1980s. Following the designation of Kingmere as a Marine Conservation Zone in 2013, the Sussex Inshore Fisheries and Conservation Authority (IFCA) teamed up with the Marine Conservation Society to bring Kingmere’s sea-users together to consider proposed management measures for the MCZ. They used a process known as Community Voice Method to record, on film, the opinions and perspectives of local sea-users about the MCZ. 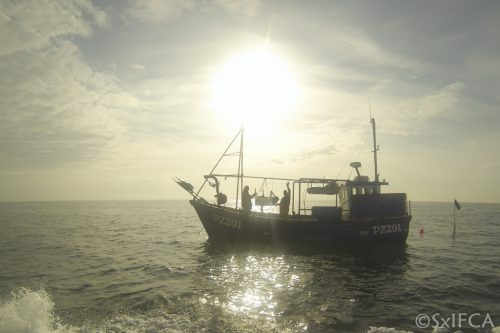 The resulting documentary, ‘Seeking Balance' was produced and then screened at special workshops to stimulate discussion and debate amongst many local sea-users. The information from these workshops helped the IFCA finalise their management bylaws, which came in to force in 2017. 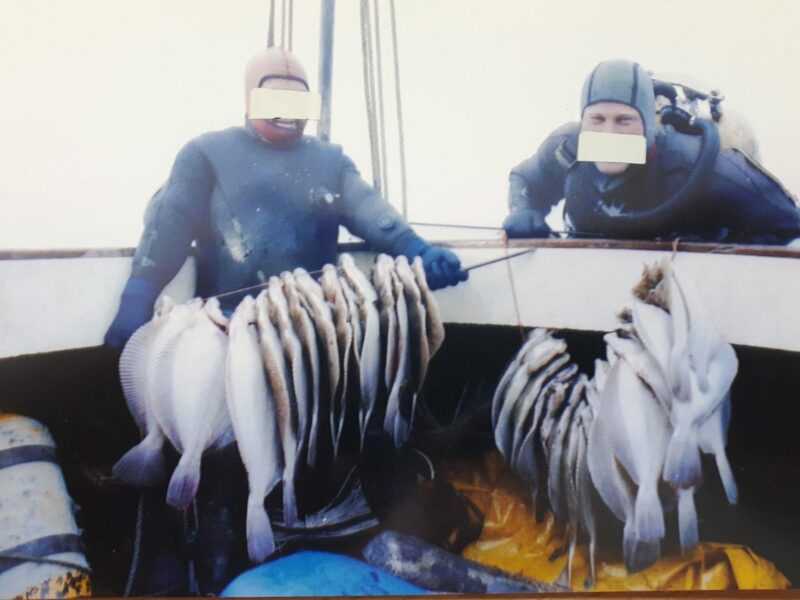 Nowadays, commercial fishers, SCUBA divers, spear fishers and recreational anglers enjoy the sea alongside each other in Kingmere MCZ and are a common sight. All fishing activity in Kingmere MCZ is managed by Sussex Inshore Fisheries and Conservation Authority (IFCA). As of January 2017, anyone wishing to fish in Kingmere now must follow strict rules, most of which are in place during the main spawning season (April to June). Now, between April and June, trawling and netting are completely excluded from the site. Potting, lining and dive gathering are excluded from 2/3 of the site whilst anglers are excluded from 1/3 of the site and have a year-round bag limit of four bream per person per day. Outside of the main spawning season (July to March), the angling bag limit still stands. However, anglers, potters, netters, liners and dive gatherers can then use the whole site. Trawlers are excluded from everywhere within the MCZ with the exception of the paleochannel. This video explains the value of Kingmere MCZ to anglers and outlines the Code of Conduct developed with the Angling Trust. For more information on the site management plan, CLICK HERE. People from all over the country use Kingmere MCZ and the surrounding waters year-round for a wide range of activities. 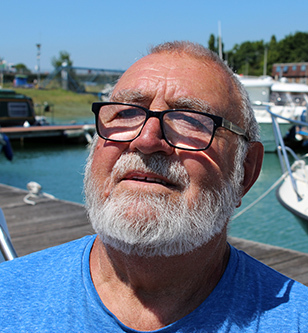 Here a number of different sea users say what Kingmere Marine Conservation Zone means to them and give their views on its importance and the management systems in place. 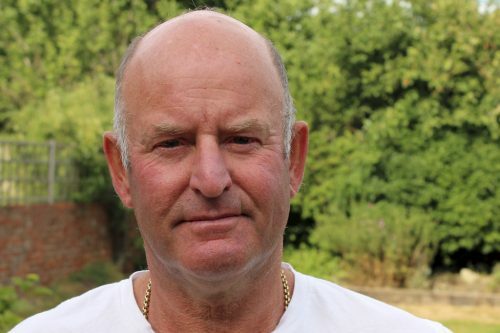 "I’m a private boat owner so an angler, hobby angler.... I’ve been fishing now from boats for about seven years so I’m actually a relative newcomer to the sport although I’ve been angling since I was a child… it’s a lifelong passion really. "The Kingmere reef is a very rich environment, it’s also got a very long heritage, particularly with black bream. 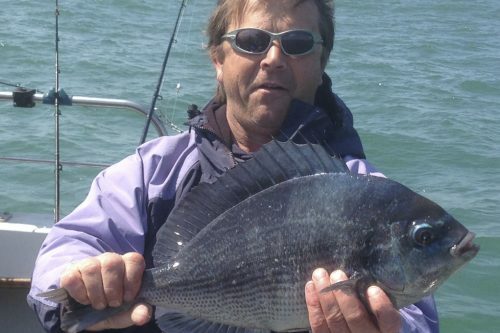 Littlehampton is synonymous with black bream fishing, has been for decades. I’ve got angling publications that go back to post-Second World War that mention the Kingmere reef and the quality of the bream fishing. 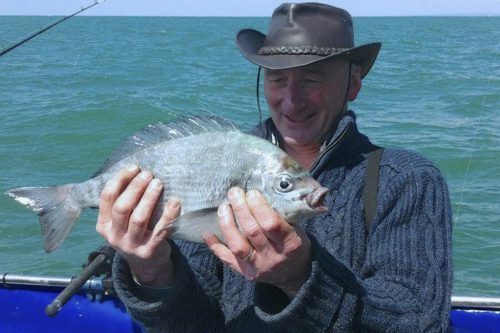 "(A good day is) nice flat, calm sea, medium strength to high strength tide and then 25 to 30 bream. If I take two home to eat then that’s ok. The bigger ones, the males, I try and release all of those." 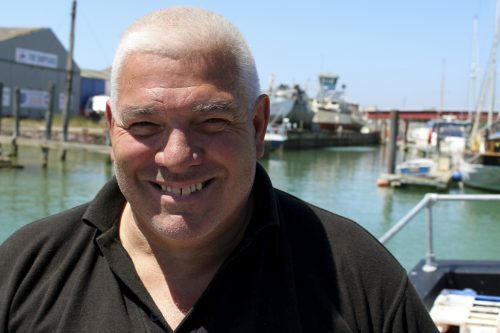 "I’m a local skipper at Littlehampton for the last many, many years, running charter fishing trips. "We’ve been boarded two of three times, (IFCA) have met us back here a couple of times. Absolutely fine... If you’re not doing anything wrong, you’ve got no problem. If you are doing something wrong then good, go out there and catch them by all means! If we’re going to do it, lets’ all do it. 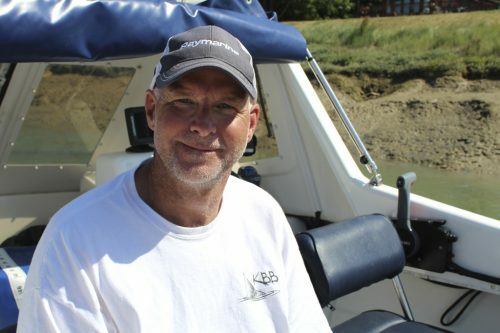 "I think what (the IFCA) have done there is really great but it’s almost like building a beautiful hotel in the middle of a desert with no road to it and saying [to the fish] you can go there, but you can’t get there and you might get killed on the way…"
"I’m a fisherman from Shoreham. "We can’t have many more areas taken away because… we’ve had a big area taken away by the windfarm which was one of our biggest earners…"
"I’m a Senior Fisheries Officer... Kingmere is a plot of land, basically, under the water... it's a place where I go to work… it’s just part of my job to protect it. "Since its designation, we’ve been there patrolling it and it seems to be working… everyone respects the MCZ." 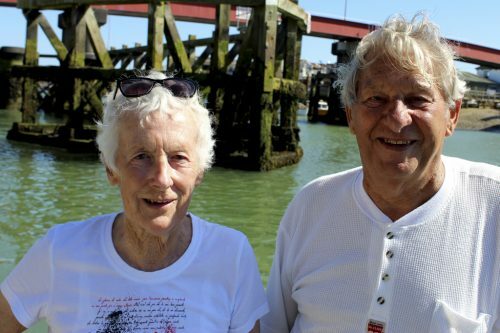 "I’m a life-long sea angler so that’s how I use the sea... I think Kingmere and Worthing Lumps is a very special place. "Anglers have had to show accountability and responsibility by adhering to our Code of Conduct... A four-black-bream bag limit has not affected my fishing at all." 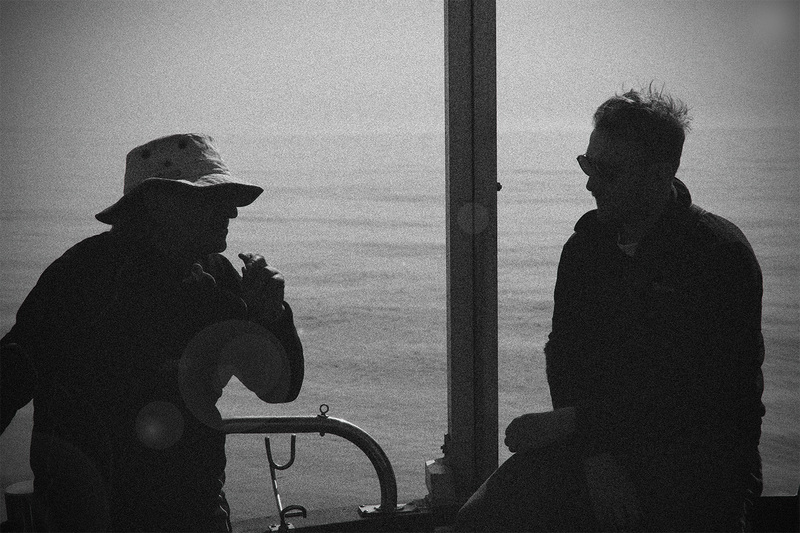 "I’ve been commercially fishing since the age of eight. I moved to Littlehampton about 20 years ago and started fishing on Kingmere. I use pots, traps and net. I used to trawl, don’t do so much trawling no more. "It’s a nationally-known breeding site for black bream. Plus, there’s rock shelves there that the bream lay their eggs on which need protecting to a point. 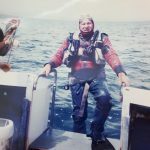 I understand that, which makes it even harder to understand why other activities are being allowed to happen now, such as the dredging within the marine conservation area." 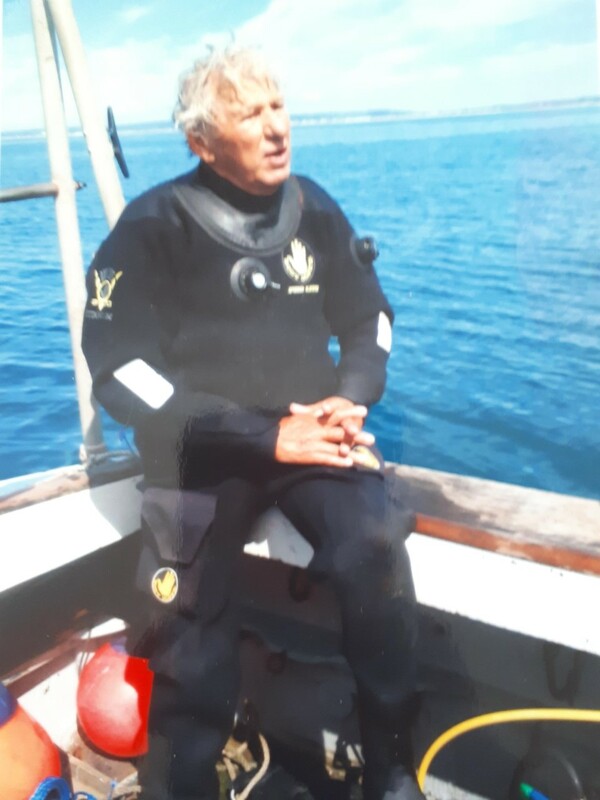 Ray - "I’m known as Ray Lee, I’ve been diving this area since 1968 so I know Kingmere very, very well. "It is a dive site that should be protected because it’s such a beautiful dive. There’s so much to see if you look… when it’s full of life, it’s more exciting than just seeing the odd rock." Rosie - "I’ve been diving here since 1984, pretty well mostly off Ray’s boat but also off our club boat. 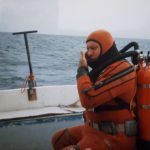 "There’s such a lot of pressure on the sea here, it’s difficult to please everybody and maintain any balance of the fish life as far as I can see. No easy answer to it." 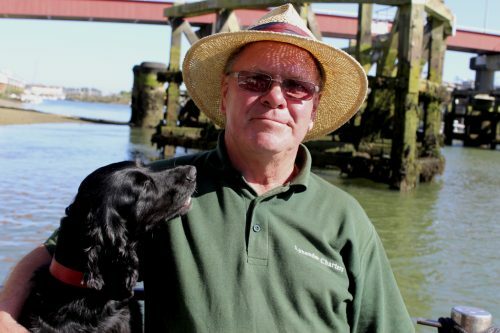 "I’m a director of the Angling Trust… and I’m a very keen angler – have been for 40 years. "I’d like to think that the local communities… off the coast from Kingmere will embrace it in some way… Anything that we’ve got here that can make the local community proud of something… has got to be a good thing." 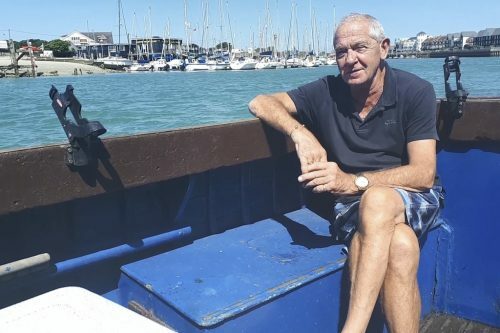 "I’m a local fisherman from Littlehampton and my hobby for the last 60 odd years has been fishing, which I have always done out of the port of Littlehampton. I consider it one of the best places on the south coast… you can have all sorts of general fishing out there and it’s wonderful, I love it. "The reason for protection of the MCZ zone is for preservation, if you decimate it, it will just run out of fish and become barren land. 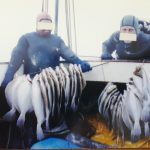 That is not a good thing for any environment, and as local fishermen, we should respect that zone as a very good thing." "I’ve been fishing out the harbour for 30 years. I’ve been (commercially) fishing for 10 years off the beach at Felpham and Bognor, so I’ve got a good idea of the area. "I think my role now is just to educate the crews that still come that we’re doing this four fish rule for a reason… we’ve got to look to the future." "In the last few years we have only just begun to really appreciate the hard work a male black bream puts into building a nest and guarding the eggs. "There is still a lot left to understand like what exactly controls the start and duration of their spawning and where else they nest along the south coast. We still don't have anyone monitoring their overall numbers. "What I have learned from watching the fish is that without a male to guard the nest, the eggs have a much lower chance of survival and will even be eaten by neighbouring male bream. So taking a male means all the reproductive effort of the male and female is wasted." People use Kingmere MCZ for its materials, as well as its fish and other wildlife. The sands and gravels of the paleochannel are extracted under licensed dredging activity outside of the black bream spawning season. These aggregates are shipped to Shoreham Harbour or elsewhere and used in concrete for construction. The licence requires annual monitoring of dredging activity to ensure there are no adverse impacts to the protected features of the MCZ. 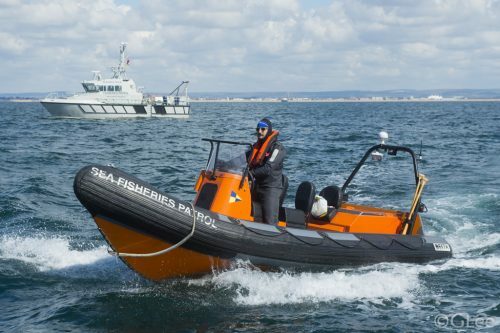 All non-fishing activities that are licensed (such as extraction or construction) are given permission and managed by the Marine Management Organisation. 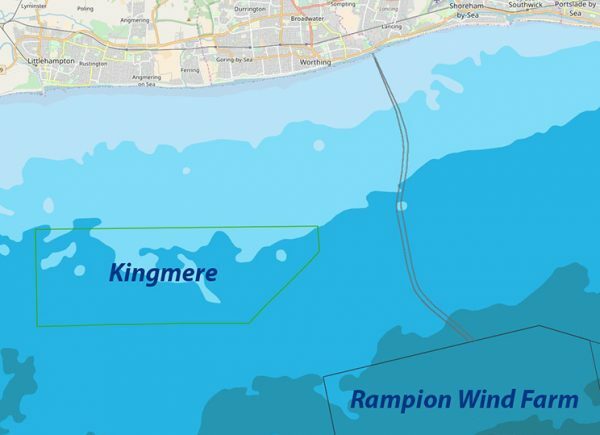 Rampion Windfarm is near to Kingmere MCZ where renewable energy is collected by wind turbines. Kingmere MCZ and its surrounds are greatly valued by the people that use them - and not just for their products and contributions to the local economy. ‘it leaves me feeling more healthy’. The ocean gives us memories and is a place we can socialise and strengthen bonds of friendship and family. When visiting the sea, we learn about nature and can miss it if we have been away from it for a while. We feel we belong to these places and we are inspired by their beauty. After all the things we take from the sea, taking care of our ocean and the life within is a way of giving something back. The future of the environment and the people that use Kingmere MCZ is a hopeful one. 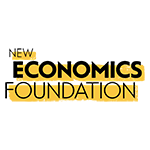 Environmental recovery is a long process that can be influenced by many factors. But there is a legal requirement for the management plan to lead to the improvement of the habitats and ensure black bream populations are in a favourable condition. Environmental monitoring of Kingmere MCZ helps to inform the management reviews. This monitoring provides information on the state of the reefs, the seabed and the black bream which use the site to breed each year. The IFCA reviews the fisheries management measures every four years, thereby ensuring they remain up to date and appropriate for the way the site is used. Now that the site is being managed, the precious Kingmere reef, its amazing wildlife and habitats should continue to thrive, and benefit local communities for years to come. 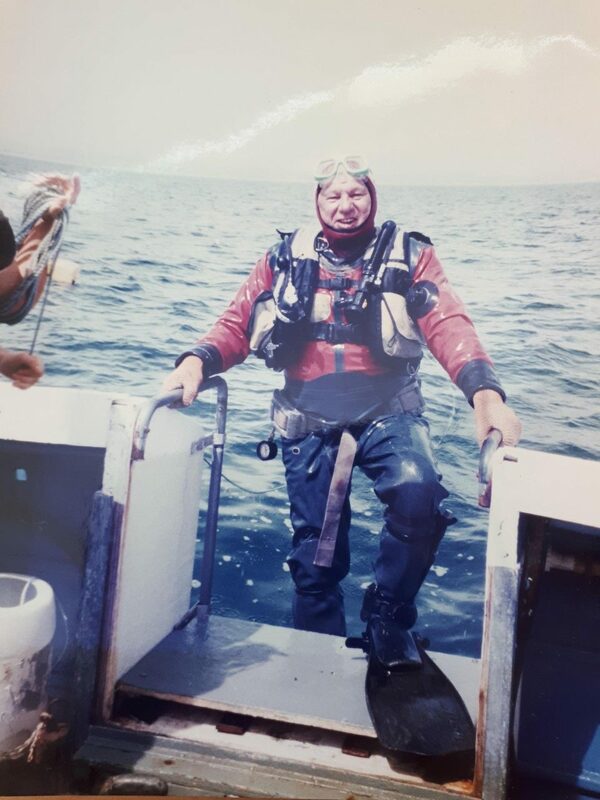 The purpose of this web page has been to give a broad overview of the marine environment inside Kingmere MCZ and how the area is used by different people. To find out more about the management of Kingmere MCZ, the species that live there or how to visit the area, a number of links are provided. 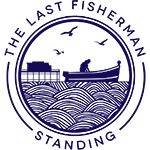 Please note, this site is not responsible for the content of external websites. 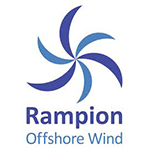 The development of this webpage has been funded by Rampion Windfarm and created in partnership between Agents of Change and the Angling Trust. 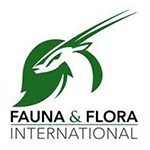 Agents of Change is a project led by the Marine Conservation Society, with Fauna and Flora International and the New Economics Foundation, and is funded by the Calouste Gulbenkian Foundation. All images were taken in Kingmere MCZ with exception of the black bream images and footage which were taken at nesting sites in Dorset.